Stress is, unfortunately, a natural part of life-especially in our busy and hectic modern times. But you don't have to let it get in the way of your health and happiness. Studies show that the key to coping with stress is simpler than you think- it's all about how you respond to the situations and things that stress you out or threaten to overwhelm you. The Stress-Proof Brain offers powerful, comprehensive tools based in mindfulness, neuroscience, and positive psychology to help you put a stop to unhealthy responses to stress-such as avoidance, tunnel vision, negative thinking, self-criticism, fixed mindset, and fear. Instead, you'll discover unique exercises that provide a recipe for resilience, empowering you to master your emotional responses, overcome negative thinking, and create a more tolerant, stress-proof brain. 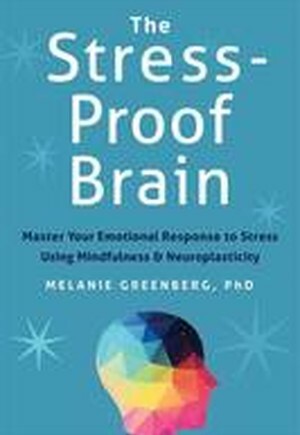 This book will help you develop an original and effective program for mastering your emotional brain's response to stress by harnessing the power of neuroplasticity. By creating a more stress tolerant, resilient brain, you'll learn to shrug off the small stuff, deal with the big stuff, and live a happier, healthier life.